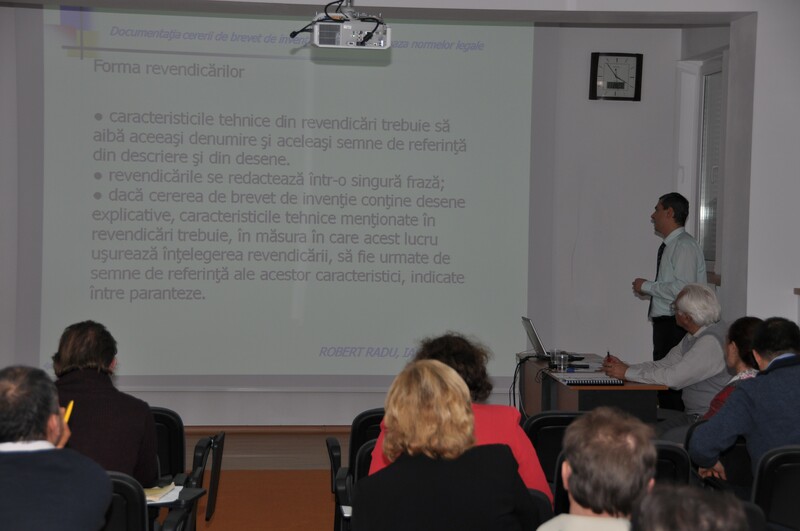 The IP Workshop was held in Iasi, Romania on November 20-21, 2014 and it was hosted by the National Institute of Research and Development for Technical Physics (NIRDTP) in Iasi. 36 participants, including experts from the State Office for Inventions and Trademarks (OSIM), Bucharest have attended the meeting. Specific attention was given to aspects related to the national, european, and international patent application rules – Legal, Economic and Administrative implications (including impact of state law and Community rules, regulations and acquis). Advantages and disadvantages of patenting at national, regional or international level considering the applicant‘s interest, the examination procedure, time and costs involved have been presented. An in depth presentation on “Patent Drafting: description and claims” taught the audience the skills and rules in drafting the description and claims to protect inventions. Utility models have been also presented. Aspects of Patent Filling Strategy have been addressed taking into account the following key considerations: what is, the routes to be followed, impact of developments in enforcement IP strategies. The topics of the presentations were well developed and the speakers made important contributions for awareness of issues related to the Intellectual Property. The meeting provided the opportunity for effective exchanges of information, experience and views both during the plenary and Round Table discussion sessions.